Business Process Management (BPM) is the art and science of how work should be performed in an organization in order to ensure consistent outputs and to take advantage of improvement opportunities, e.g. reducing costs, execution times or error rates. Importantly, BPM is not about improving the way individual activities are performed, but rather about managing entire chains of events, activities and decisions that ultimately produce added value for an organization and its customers. 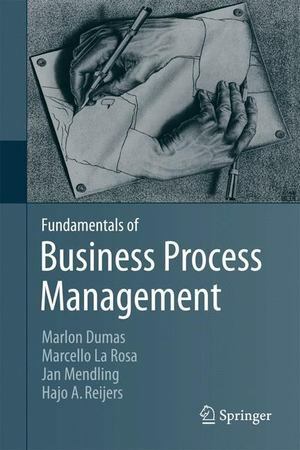 This textbook encompasses the entire BPM lifecycle, from process identification to process monitoring, covering along the way process modelling, analysis, redesign and automation. Concepts, methods and tools from business management, computer science and industrial engineering are blended into one comprehensive and inter-disciplinary approach. The presentation is illustrated using the BPMN industry standard defined by the Object Management Group and widely endorsed by practitioners and vendors worldwide.nbsp; nbsp; In addition to explaining the relevant conceptual background, the book provides dozens of examples, more than 100 hands-on exercises - many with solutions - as well as numerous suggestions for further reading. The textbook is the result of many years of combined teaching experience of the authors, both at the undergraduate and graduate levels as well as in the context of professional training. Students and professionals from both business management and computer science will benefit from the step-by-step style of the textbook and its focus on fundamental concepts and proven methods. Lecturers will appreciate the class-tested format and the additional teaching material available on the accompanying website fundamentals-of-bpm.org.